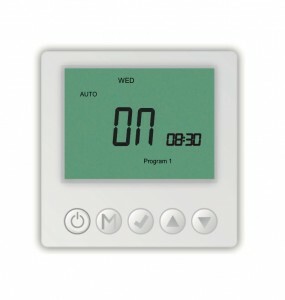 Electronic digital single channel timeswitch enables the time control of underfloor or wall hung radiator circuits. Programming allows 6 on/off events per day as 7 day, 5 + 2, 6 + 1and 24 hour programmes. Designed to be fitted to a 35mm single gang back box. 230V or 24V versions available.